AMV Minis Challenge #22 - WATCH & VOTE! Thread: AMV Minis Challenge #22 - WATCH & VOTE! This episode features country music. Our winner for this round was Video 18 by MADEVIL! Tom Walk and Russel Alan Pratt - Did Charlie Make A Monkey Out of You? I have to say that this one turned out a lot better than I was expecting it to. Either 1, 3, 7, 9, 10, or 18 for me, but overall pretty good episode. Last edited by CitizenRoman; 07-10-2014 at 01:58 AM. 7 would've been better if it had ended while the sponsors were being named off. But that's just my two pesos. Er...someone explain to me how Jem and the Holograms counts as country music? Which makes Ozzie Osborne's "Crazy Train" also Country Music. Which it isn't. 14 might have fit in if everyone made hate videos because "country music suxxorz". Since only two videos did that, and the other was pretty good at it, 14 sticks out like a sore thumb. Or middle finger. I can appreciate sticking to your guns on the whole Jem thing, but compared to the decent videos it's kind of embarrassing. You just made me imagine that. Why did you do that? Other than that, there were a few good ones in there, but several would have been better if they'd been trimmed a bit shorter, as with the idea of cutting off during the advertisements. could have been better imo, but could have been worse. a couple did jump out at me, so I voted for one of them. 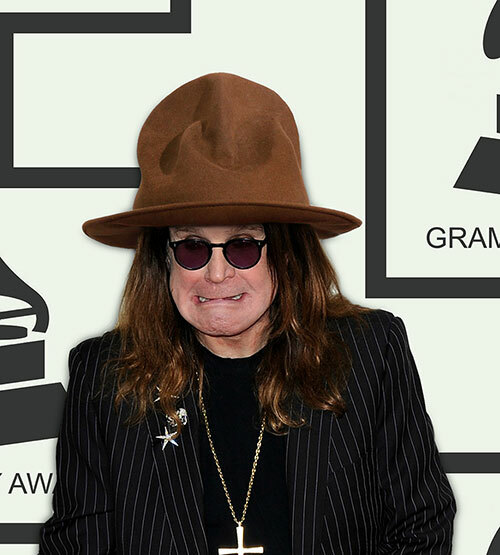 imagined Ozzy dress as a cowboy? Because that is a funny image. Guess I’ll do this in an alternate fashion and write these down as I watch for once. I’m just that nice. 1: It was ‘aight, but it feels lacking and seems like it ended without much of a punch. Dammit Chaz, what is it with you and the fetish for changing the iris color on niggas? 2: The editing is good, but it feels a tad forced when trying to establish connection with the lyrics. 3: Took a second to get going and really came off good. Started chuckling right at the first “**** you texas”. In my case I may have gotten that extra kick out of it from not knowing the song. It was pretty good. 5: Considering how short tempered Koga is you could have found a more emotive scene for this joke. Him standing folding his arms before punching someone feels wasteful if you were going to go for that kind of joke. 6: No.,..Just no. Sloppy edits and just plain doesn’t work. Not just in the comedic sense if that was your intention. 7: Some clever editing there, lip synching is seriously lacking, but other than that, it was just okay for me. 8: Seriously, why is lip synching so hard for you people!? It doesn’t have to be perfect, just a second or so off to fool the eye. Aside from that, quality is lacking and I honestly wasn’t entertained or amused here. Just sub par execution IMHO. P.S. Aspect Ratio dude…or chick…most likely dude. 9: That was pretty solid. Had to watch a second time as the editing is a tad on the hectic side, but a person can “get” it at least. 10: First, I can hear the audio cut at 4:05. Now that I got that out of the way, This was a solid enough effort. The overall symmetry between the audio and the clip might be noticeably off, however it was still funny enough so good job. 11: *Shrugs* Just didn’t do it for me. 12: Drags on a bit and I don’t think the pay off was worth it in the end. Also, what’s with the quality? 13: I don’t think I get what you were going for. Didn’t seem like it really went anywhere after three re watches. 14: The Pink Haired god-….is most displeased. We must sacrifice one of our many virgins! Woah...There's an outrageous **** up here. 15: Another thing where I see little to no real connection between song and lyrics. It takes me out of this more than the lack of lip synching could. 16: *Sigh* If this one wins just because **** you all. 17: First, using ****ty star is a death sentence here. Second, using any of that dance sequence will get you the chair. Now, trying to be objective, I guess it was alright as far as ****ty star clips go. The clip as a whole is solid. 18: It’s good. However, why not mask the show on Bevis and butthead’s tv? It seems on the lazy side as is. Bonus points for balancing out the audio appropriately though. Last edited by N.P.C.C. ; 07-10-2014 at 02:04 PM.